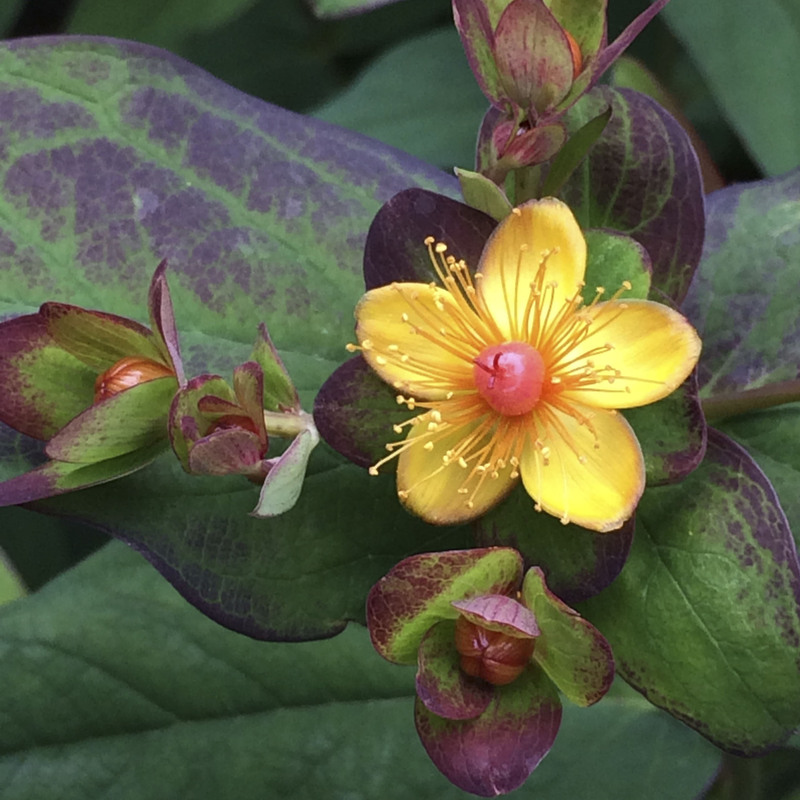 A clump-forming St. John’s Wort with purple-tinted leaves and golden-yellow flowers in summer. Flowers are followed by attractive black berries in the fall that can be used in arrangements. A plant that enhances the good looks of all the other plants around it. Gives good structure and weight to the garden. Full-part sun. Height 2′. Spread 2′. Deer resistant. Zones 5-7.